What’s better than a healthy lunch to promote learning and good oral health? A lunch packed with positive, affirming notes to remind your child that he or she is loved and supported. 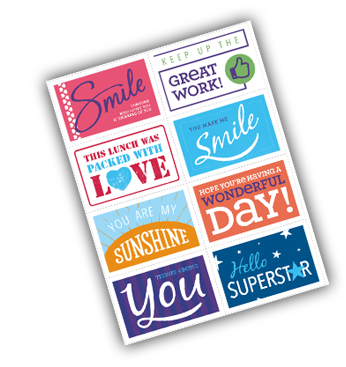 Smiles 4 Keeps created fun, printable lunch notes to drop into lunch boxes when you want to add a little something to make their day. Simply download, print and cut!